The appeal of a strawberry can be quickly lost by the presence and activity of some bugs. There are a few that affect three different parts of the strawberry plant. But fortunately, all are not devastating to the plant’s ability to produce fruit. Managing the bugs can be done successfully and leave plenty of fruit for enjoyment. There are three common pests that feed on strawberries at the root level. These bugs include the strawberry crown borer, the strawberry root weevil and white grubs. Both the strawberry crown borer and strawberry root weevil are most damaging in the larval stage of development where they can kill or weaken strawberry plants. There are four common pests that feed on strawberry foliage. They are leafrollers, strawberry rootworm, two-spotted mite and the cyclamen mite. There are five flower- and fruit-feeding strawberry bugs. They are the strawberry clipper, eastern flower thrips, the tarnished plant bug, the strawberry sap beetle and slugs. Root-feeding bugs are detectable once they reach the adult stage where they eat the fruit’s leaves. The presence of leafrollers can be easily detected because leaves turn brown when the moths feed on the foliage. Other bugs such as the strawberry rootworm require a bit more work to detect. Wait until dark to inspect plants for activity because these bugs only feed at nighttime. 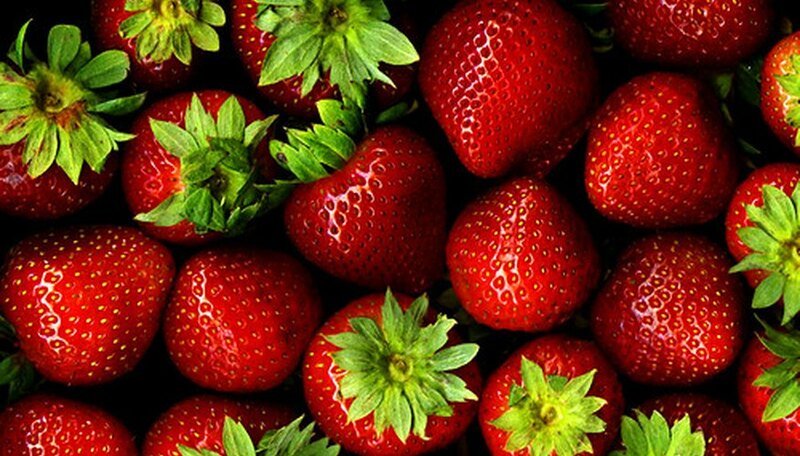 Spraying strawberry plants with an insecticide is an effective measure to treating most bugs. However, there are some exceptions. Because leafrollers only eat the foliage of strawberries, it is often unnecessary to treat this pest. Insecticides are not recommended to treat strawberry rootworm or cyclamen mites because they do not cause direct damage to the fruit, and the use of insecticides to control the strawberry rootworm may actually remove a desirable population of beneficial mites.